This was brought home to me early in my career when running therapeutic communities. One of my mentors explained it in the following way. Emotions are your material. You can use your feelings to help people or to hurt people. 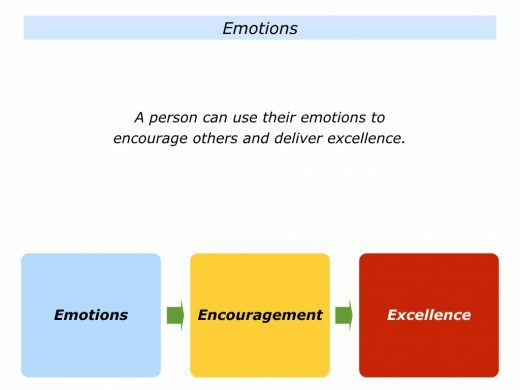 It is important to use your emotions to encourage people and help them to shape their future lives. People are emotional beings. They can learn how to manage their emotions, however, rather than let their emotions manage them. One approach is for them to translate their feelings of joy, sadness or anger into actions that help to build a better world. Many people do this by simply being kind. They aim to encourage their loved ones and other people in their daily lives. Some people translate their feelings into delivering fine work. They may volunteer in a hospice, advise young entrepreneurs or provide workshops that help people to take care of their health. Peter Benenson read an article in the Observer about political prisoners and this led to him founding Amnesty International. Penny Brohn was diagnosed with cancer and this led to her creating The Bristol Cancer Help Centre. Maria Montessori was moved by the plight of neglected children and created an educational movement that spread across the world. Jack Sim, who is happy to be known as Mr. Toilet, recognised the need for sustainable sanitation and founded the World Toilet Organization. Looking back on your own life, can you think of a time when you used your emotions to encourage people or to do excellent work? This could have been in your personal or professional life. You may have felt happy, sad or disappointed. Whatever the feeling, you decided to use it in a positive way. You may have chosen to help people or to do superb work. 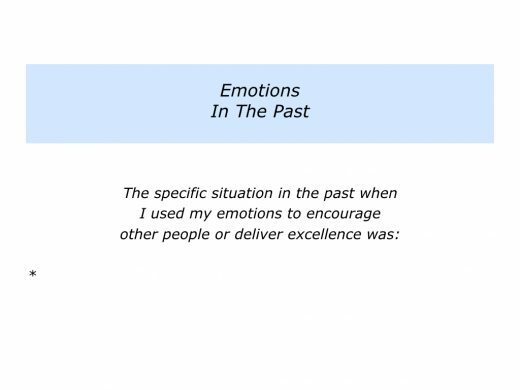 Describe a specific situation in the past when you used your emotions to encourage people or to deliver excellence. 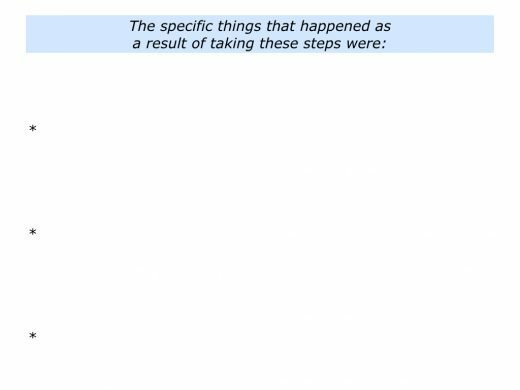 Describe the specific things that you did to take these steps. Such compassion can be an asset because it can spark people into action. Sometimes it can be a burden, however, because it can lead to feeling helpless. Some people respond to their darkest hours by aiming to give other people hope. Mary Gordon is such a person. She translated her concern for people into creating the organisation called Roots of Empathy. The organisation’s mission is to build caring, peaceful and civil societies through the development of empathy in children and adults. The programme involves bringing a local baby into the classroom. The children then learn how to understand and care for the needs of another human being. The Roots of Empathy programme has spread to many countries. It has produced remarkable results in enabling children to become more caring, peaceful and able to solve problems. This has also reduced aggression, bullying and other social problems. Below is a video that provides an insight into the approach. You can also discover more on the organisation’s web site. Jürgen Griesbeck created Street Football World which uses football to empower communities. He also co-founded Common Goal with Juan Mata, the Spanish footballer. Common Goal is made-up of players, managers and supporters who contribute at least 1% of their annual wages to a collective charity fund. Here is some background from their website. You can discover more via the following link. Who Is Behind Common Goal? Common Goal is the creation of streetfootballworld, the international leader in football for good. Over the past 15 years, streetfootballworld has created and developed a global network of more than 120 local charities that use football as a tool to tackle social issues ranging from gender equality in India to peacebuilding in Colombia to refugee integration in Germany. Anne Frank used her feelings to create a testament to the appreciation of life. Each person will have their own favourite quotes from her diary. Here are some that are often used. Different people use their emotions in different ways. Some simply aim to do small things each day. They aim to encourage people and give them positive memories for life. When experiencing an emotion, they ask some of the following questions. What am I feeling? How can I use this feeling to help other people? How can I use it to spread happiness, create beauty or pass on knowledge? How can I use it to do good work? How can I use it to plant seeds of hope during my time on planet? Let’s return to your own life and work. 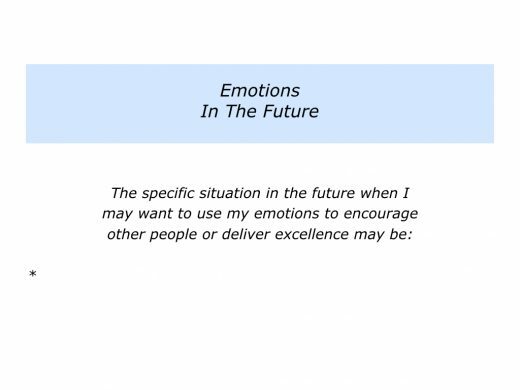 Looking to the future, can you think of a specific situation when you may want to use your emotions in a positive way? Depending on the situation, you may feel happy, angry or experience another emotion. How can you use this feeling rather than let it use you? How can you use it to help people, create beauty or pass on knowledge? You may be able to do this in your role as a parent, educator, nurse, sports coach, trusted advisor or whatever. Describe a specific situation in the future when you may want to use your emotions to encourage other people or to deliver excellence. 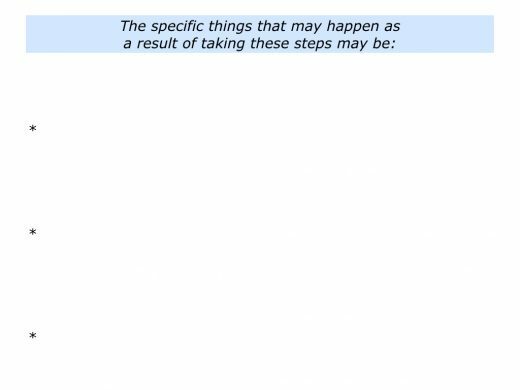 Describe the specific things you can do then to take these steps.